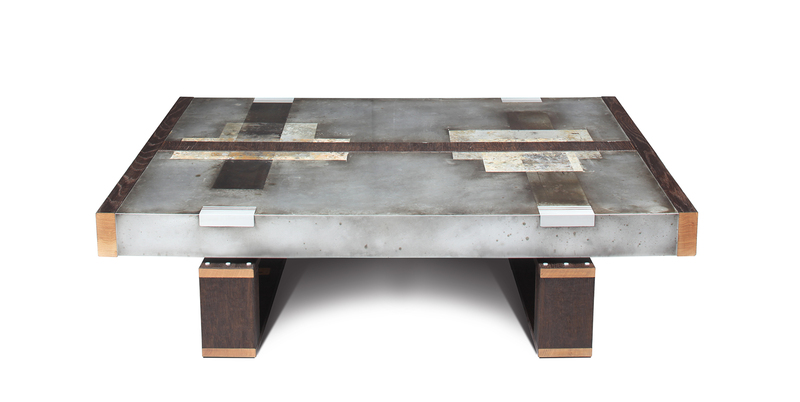 This Studio Roeper original features an acid-etched zinc top in our signature patina style. The industrial character of the metal is complemented by the rich black, textured finish of the charred oak, which is created by torching the wood. 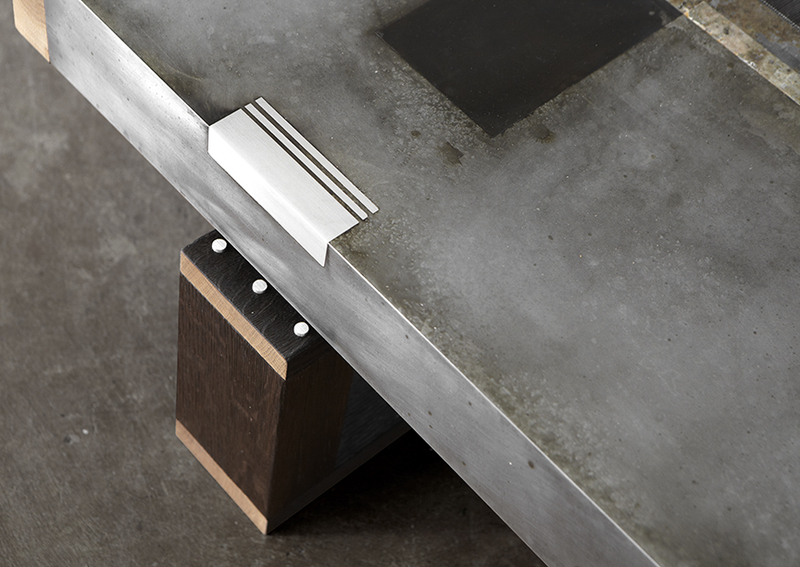 Solid zinc plugs are positioned as design accents. This piece is sealed with several coats of an industrial-grade lacquer which will prevent any further oxidation and protect the surface from normal use. 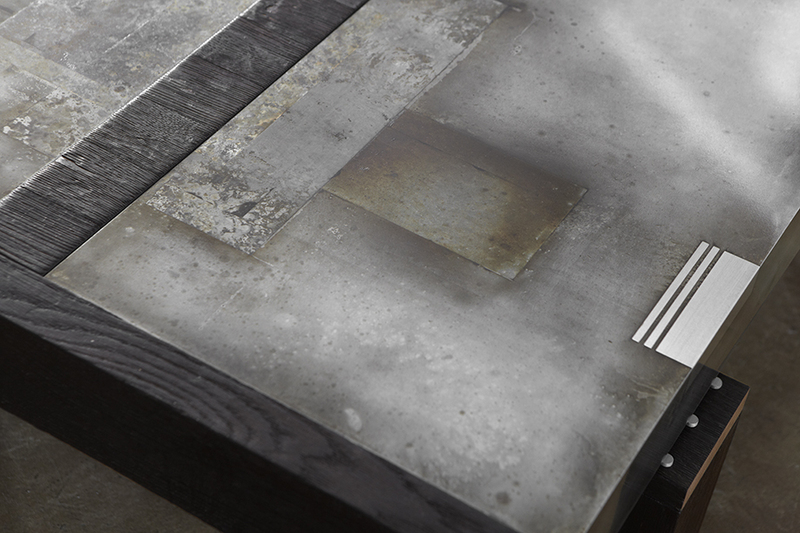 This table is handmade at our California workshop and can be built in custom sizes and finishes.